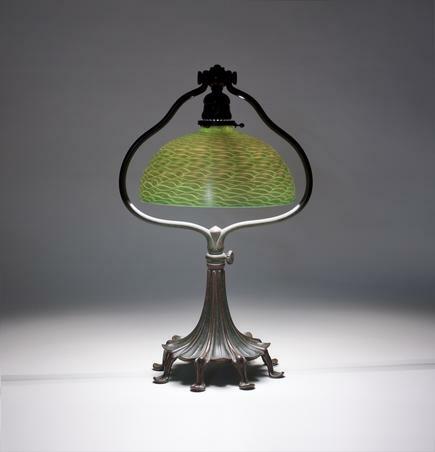 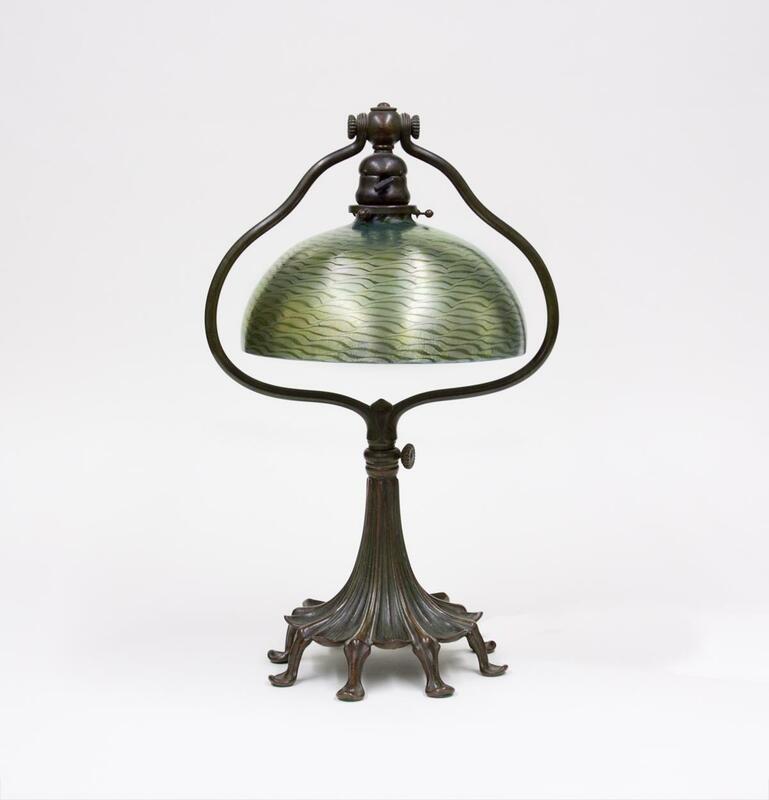 A charming Tiffany Studios desk lamp, the green body of the Tiffany favrile glass shade with allover iridescent wave decoration, on an unusual telescoping bronze Harp style base with scalloped stylized leaf design, resting on 8 foliate feet. Both the shade and the base of this original Tiffany Studios lamp are signed. A charming Tiffany Studios desk lamp, the green body of the Tiffany favrile glass shade with allover iridescent wave decoration, on an unusual telescoping bronze 'Harp' style base with scalloped stylized leaf design, resting on 8 foliate feet. 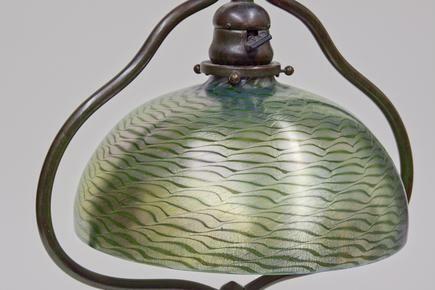 Both the shade and the base of this original Tiffany Studios lamp are signed.